"She wasn't all together, there… at the end." 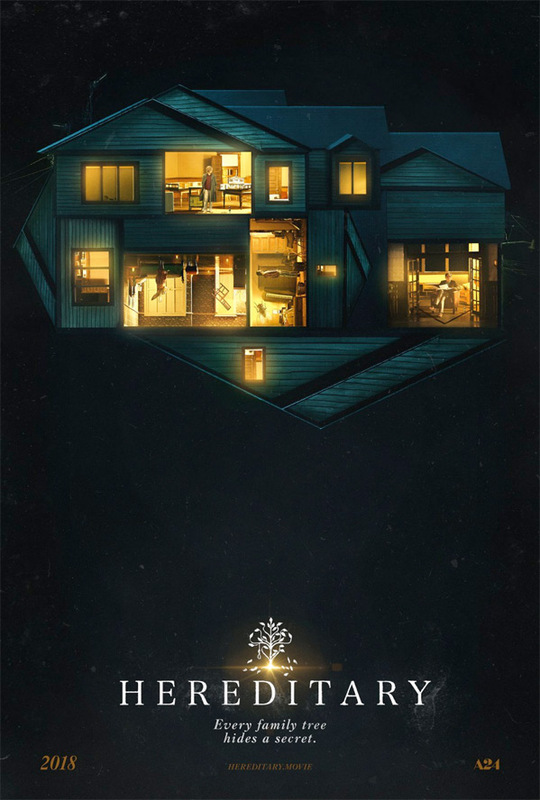 A24 has debuted the first trailer for the acclaimed horror film Hereditary, which just premiered at the Sundance Film Festival to some of the best buzz of the fest. From writer/director Ari Aster, the film is about a close family that starts to unravel following the death of their reclusive grandmother. As an overwhelming terror takes over their household, their peaceful existence is ripped apart, forcing their mother to explore a darker realm in order to escape the unfortunate fate they've inherited. Toni Collette stars, along with Gabriel Byrne, Alex Wolff, Milly Shapiro, Ann Dowd, and Zachary Arthur. This horror is about how a terrifying presence can pass down through the family, and it's apparently thrilling not because of jump scares, but through all the "unspeakable" horror it presents. This is an outstanding first trailer, definitely promising a freaky, terrifying film that might be a big hit this summer.